Grim Shield-Brother is a common Endurance creature card. It is the changed version of Grim Shield-Brother through Beast Form. 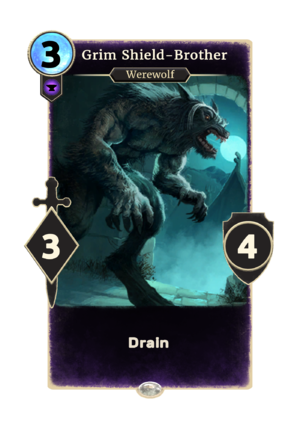 The werewolf transformation applies the Grim Strength card effect.